In GEF, there usually is one global coordinate system and figure-local coordinate systems to deal with. Generally, mouse coordinates can be translate to the global coordinate system and the figure-local coordinate systems in a simple and straightforward fashion, and users of the framework seldomly have to deal with these issues. In GEF3D however, there are more coordinate systems involved and dealing with those can become cumbersome. This article aims to describe the concepts of coordinate systems and coordinate system conversion in GEF3D. Mouse coordinates are used to specify the location of the mouse cursor relative to a control. 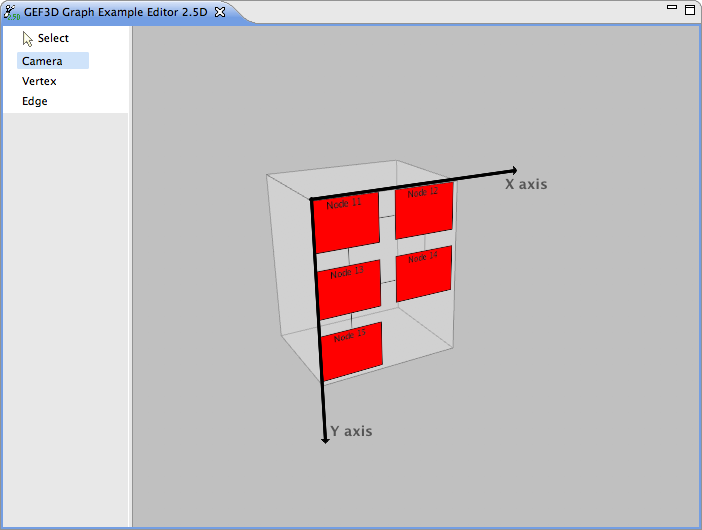 In the case of GEF3D, the control is the OpenGL canvas, in which the OpenGL viewport is rendered. The origin of the mouse coordinate system is in the top left corner of the viewport, so mouse coordinates are always positive integers. In the picture, the current mouse coordinates are (147,105), and these are the same values that are contained in the mouse events that the GEF lightweight system receives and dispatches to figures and tools. In GEF3D however, these coordinates are handled a bit differently in order to allow seamless integration of embedded 2D editors (see below). 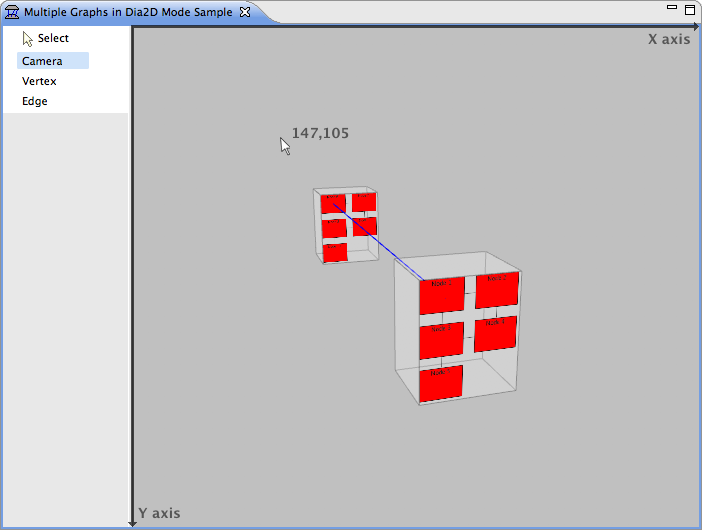 Since an embedded GEF editor cannot handle 3D coordinates, it must be supplied virtual surface 2D coordinates. This surface coordinate system has its origin in the upper left corner of the drawing surface as shown in the screenshot and the surface coordinates are integers which may be negative. Negative surface coordinates can be the result a coordinate conversion or when virtual picking is used (see below). * point at the given screen coordinates and depth. Mouse coordinates and OpenGL window coordinates are equivalent except that the origin of the window coordinate system is in the lower left corner of the viewport, whereas the origin of the mouse coordinate system is in the upper left. This method conveniently expects mouse coordinates and handles the inversion of the Y axis itself. * eye to the given 3D point would intersect with. This method will calculate the mouse coordinates of a given point in 3D world coordinates. * Converts the given surface 2D coordinates to 3D world coordinates. The second method is a convenience method which takes a point with surface coordinates and the first method takes two integer coordinates. * perpendicular to the figure's surface and that contains the given point. Note that the 3D coordinates to not have to be on the host figure's drawing surface. The given 3D point is projected onto the surface before the surface coordinates are calculated. This page was last modified 08:27, 29 December 2010 by Jens von Pilgrim. Based on work by Kristian Duske.